The Toronto Police Marine Unit let CBC Toronto strap an underwater, 360-degree camera to one of their helmets during a refresher course. Const. 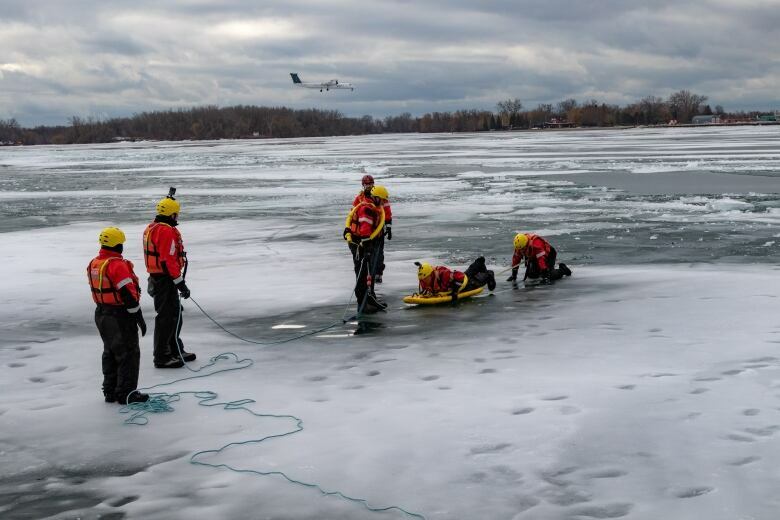 Jeff Lucifora with the police marine unit can't forget a call his squad responded to last October of a capsized canoeist near Toronto's Cherry Beach. 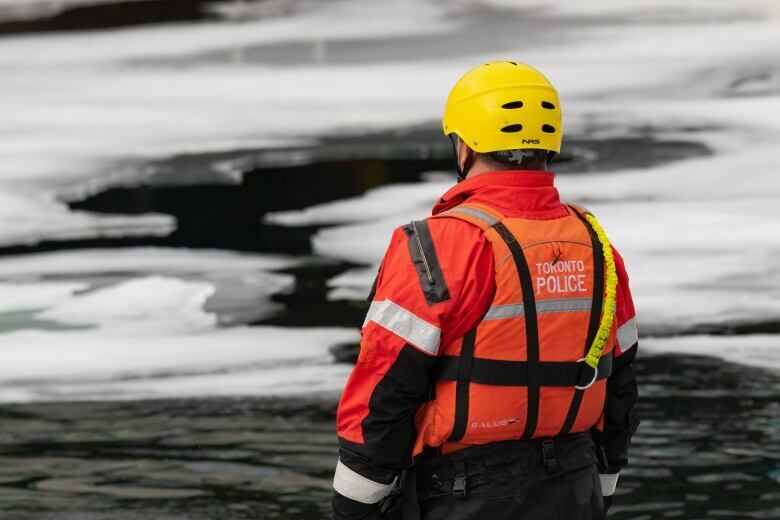 "We flew over there in one of our Zodiacs in minutes... his arm was sticking out of the water and when we got there we grabbed him and we basically pulled him onto the boat," said Lucifora. "Seconds count. Five seconds, 10 seconds later, and he would have been gone." Tuesday morning, Const. Lucifora and his team let CBC Toronto strap an underwater, 360-degree camera to one of their helmets during a refresher course. Lucifora says training is critical in the rush of a dynamic rescue, like the one in October. "Training kicks in, muscle memory kicks in and you just do what you have to do," he said. Lucifora has been on the marine unit for about a decade, but says the training simulations training help. "It's good because you get to see the angle from the victim's view," he said. "You get an appreciation of the cold water." 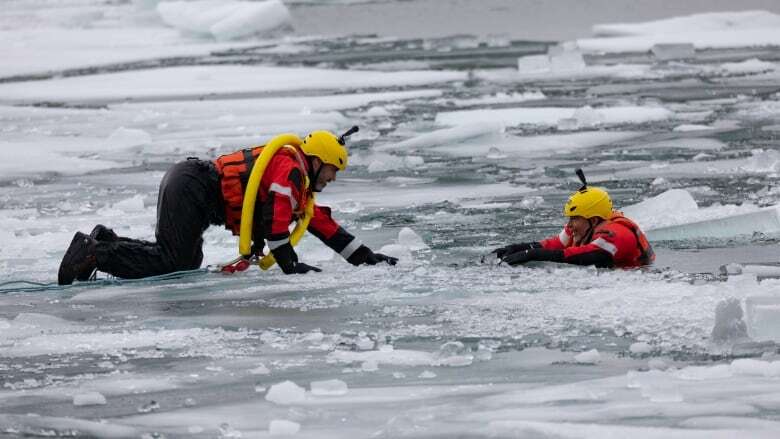 A "significant" amount of rescue operations are because well-meaning pet owners make the terrible decision to run out on the ice after their pet, says Const. Jeff Clarke, an instructor with the marine unit. "The risk is now they're a victim, and usually the pet will get out and the owner will actually end up in the water and we have to rescue them," Clarke said. "It's better to call us and then we can effectively do that rescue safely." 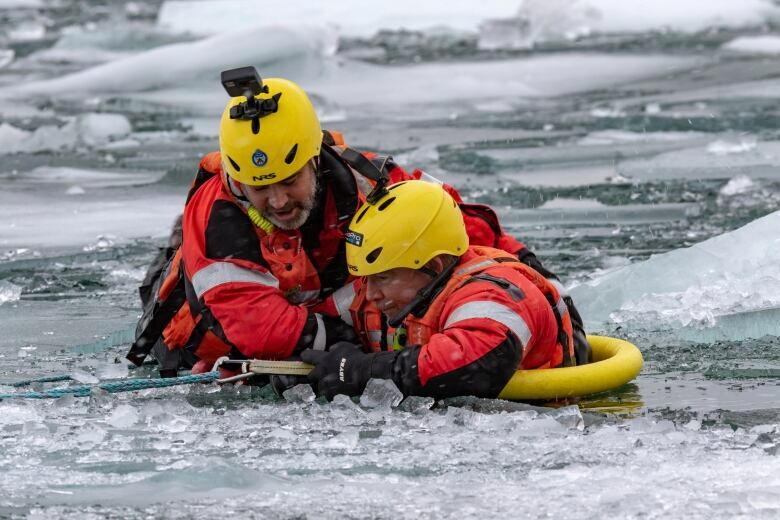 While Clarke said it's "gratifying" to save a life, Toronto police have a warning for people: avoid icy waterways, even when it looks like the ice is safe to be on. "It's the worst it could possibly be right now," said Clarke of the ice conditions created by the wild temperature swings this winter in Toronto. "It's old ice — it's been around for a while — and now with these mild temperatures, anybody could break through at any time." "We recommend people don't go out on the ice at all. It's better to just stay off the ice, period."